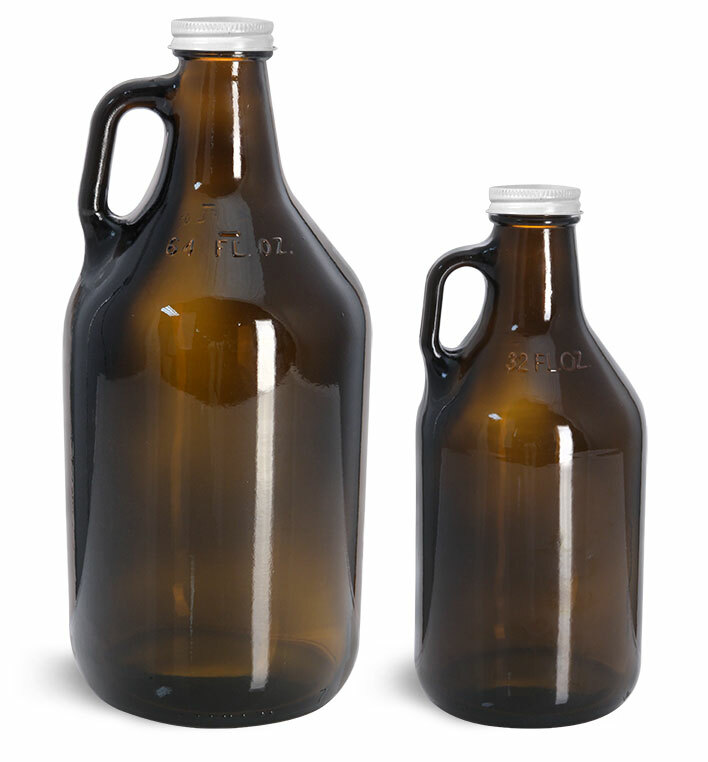 Amber glass beer growlers include handles for the easy transportation and effortless pouring of your finely crafted brews. 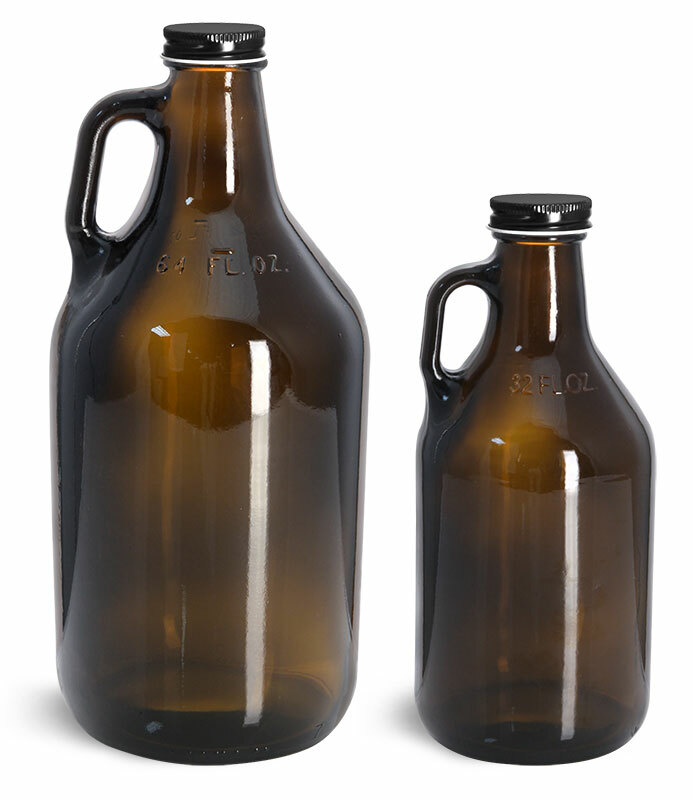 The amber glass growlers are paired with black phenolic coned lined caps featuring LDPE cones that rest inside the growlers' necks for a secure seal, ideal when packaging carbonated products. 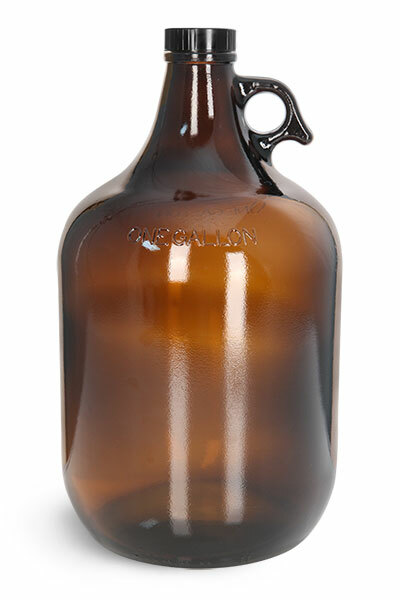 Amber glass reduces exposure to UV rays, preventing the alteration of your beverage's composition. 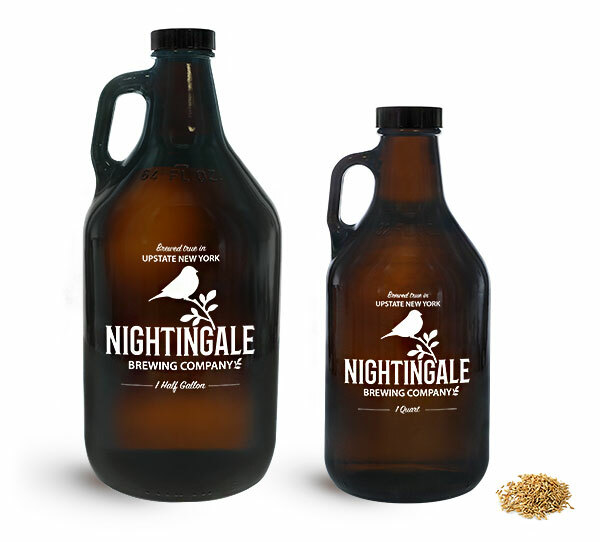 Embellish these amber glass beer growlers with a custom label to effectively showcase a wide variety of beers and malt beverages.